Serving the Screw Machine and Aerospace Industries. Our indexable screw machine tooling is designed for maximum rigidity, and we use the finest sub-micron carbide grades and high speed steels available. 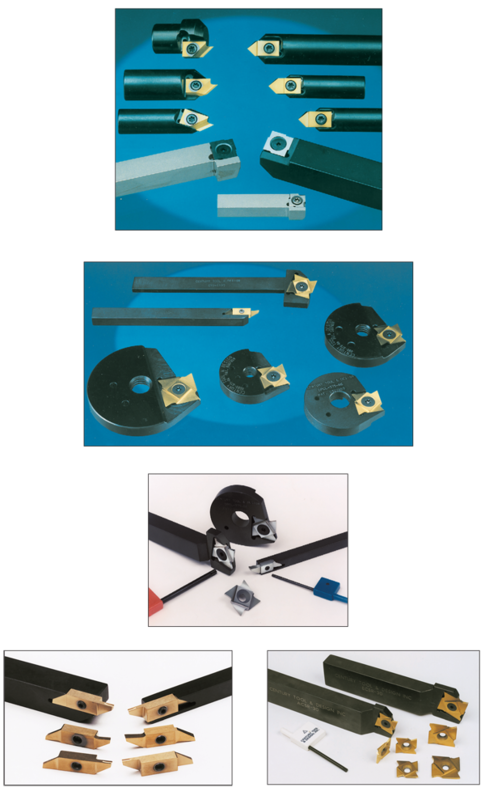 We offer a full range of the latest tool coatings as well. Standard precision ground inserts are available on-line at very competitive pricing. Special design modifications can be made to our standard screw machine inserts so that you can combine operations and have them be indexable. Cut-off and chamfer, chamfer and counterbore, countersink and face, groove and chamfer, etc. Left-hand, backworking, indexable countersink tooling for ID’s from .035 ID on up. All special countersink angles are available.